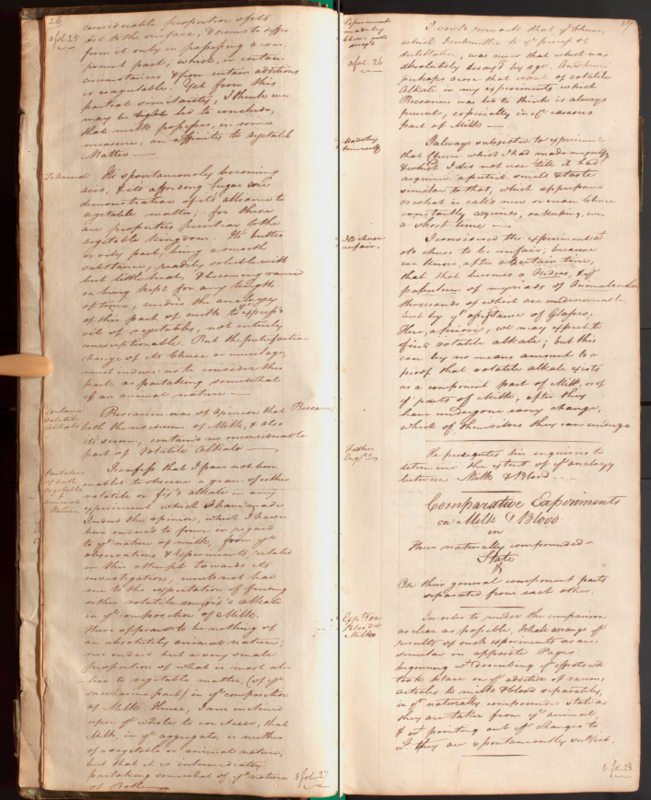 New to our digital library is the 336 page handwritten notebook of George Box Drayton that includes various case records, autopsies, prescriptions, lecture notes and personal memoranda dating from 1802 to 1840. This book was a real challenge to digitize due to it’s size and fragile condition. Measuring a little over 20 inches long and 8 inches wide meant it wouldn’t fit on one of our regular cradle machines and doing it on our medium-format overhead camera would have taken too long. 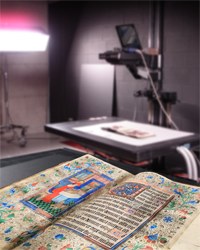 In the end we realized if we turned the book sideways we could digitize a two page spread on one of our overhead scanners located on site at the Olser Library and then we split the pages in post-production. Scanning the book sideways did give us a bit of glare in the gutter due to the light bouncing off the curvature of pages but no text was lost so we felt it was a reasonable compromise in order to get a copy done. You can download a PDF of the full notebook from our catalogue or you can see the original on request by visiting the Olser Library of the History of Medicine during opening hours.